Yuri’s Night is a global celebration of humanity’s past, present, and future in space. 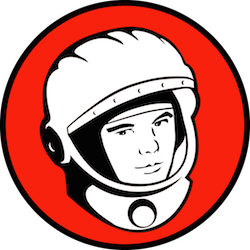 Yuri’s Night parties and events are held around the world every April in commemoration of Yuri Gagarin becoming the first human to venture into space on April 12, 1961, and the inaugural launch of the first Space Shuttle on April 12, 1981. The actual anniversary is Sunday, but space themed parties have already started. Find one near you here. This map shows every registered Yuri&apos;s Night event around the world that will occur this year.